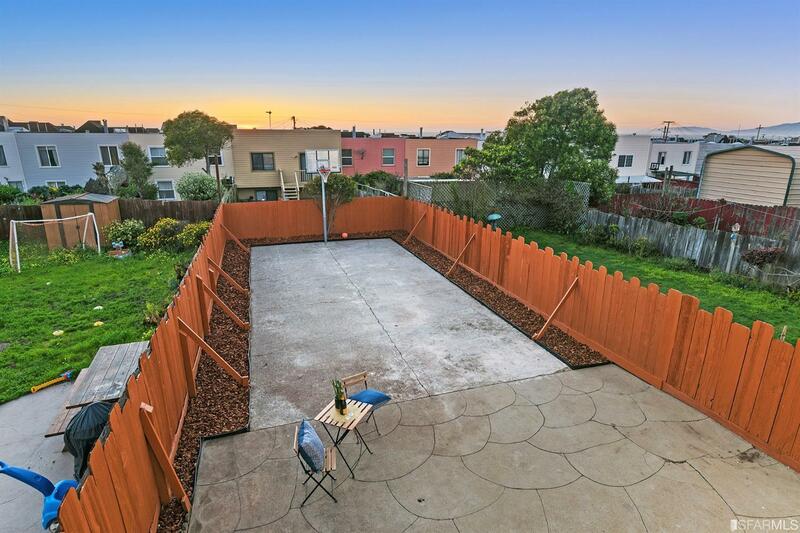 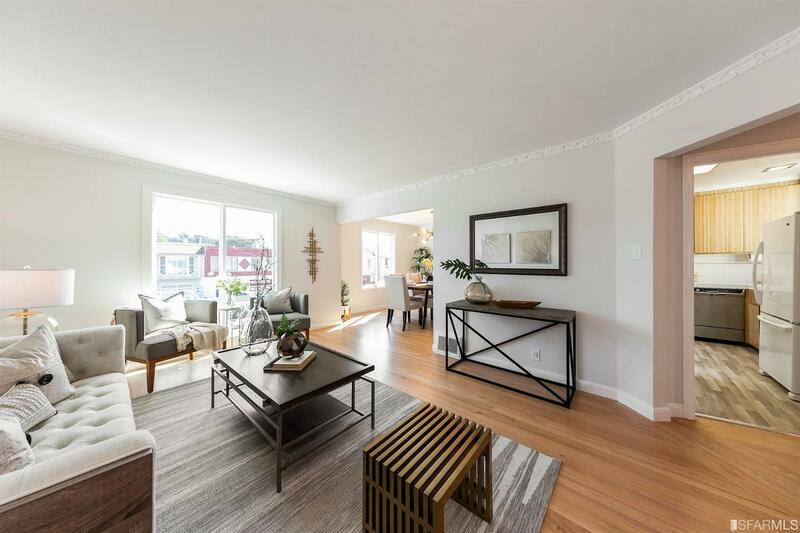 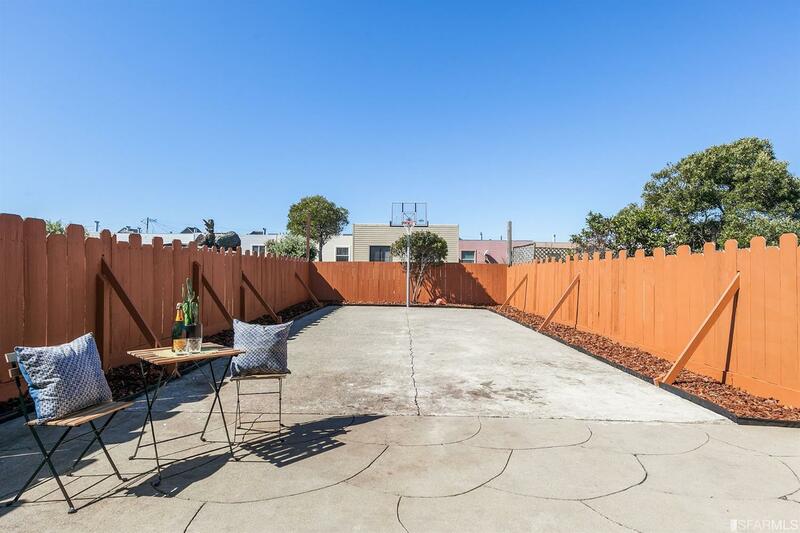 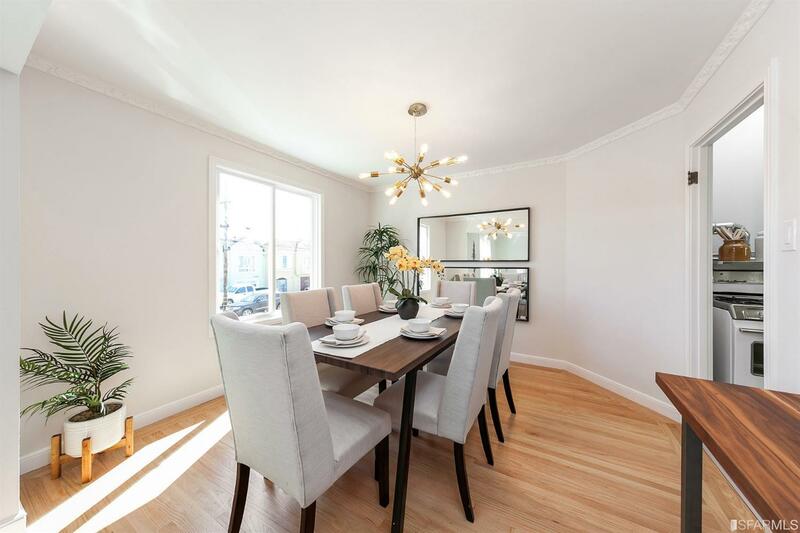 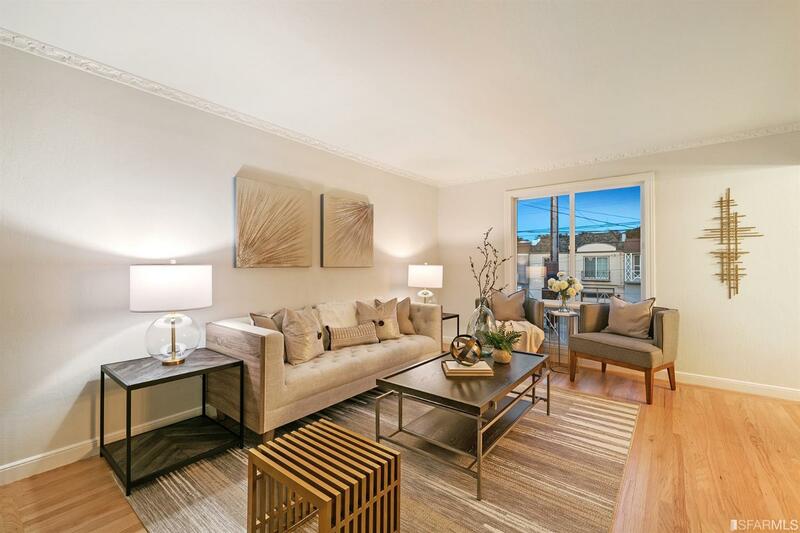 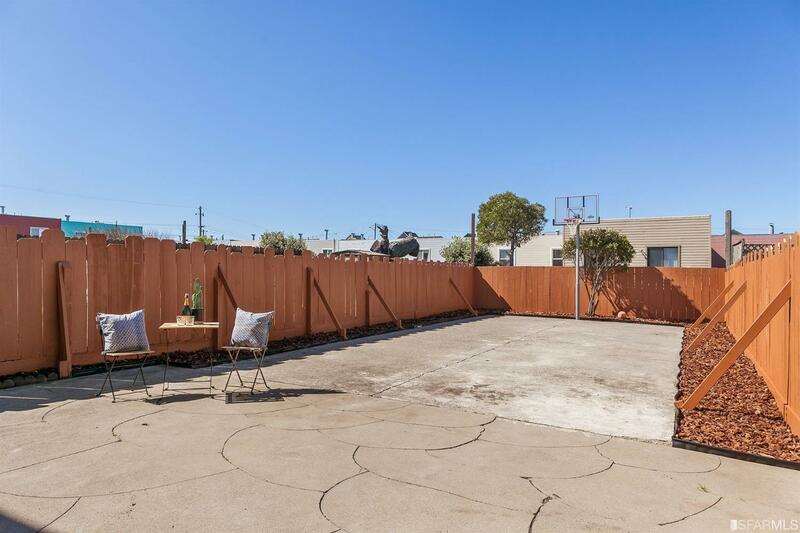 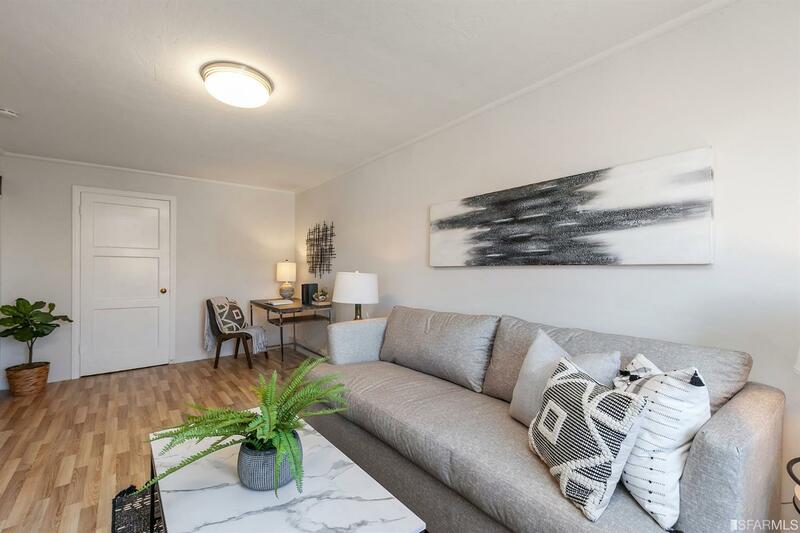 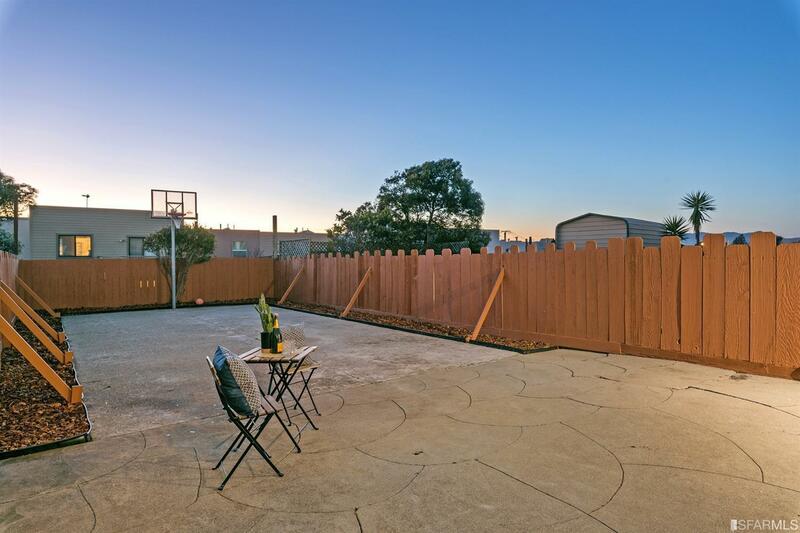 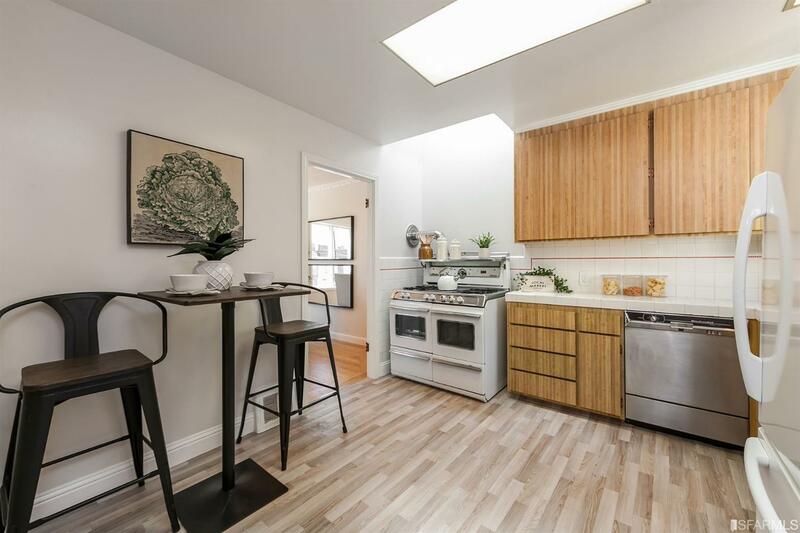 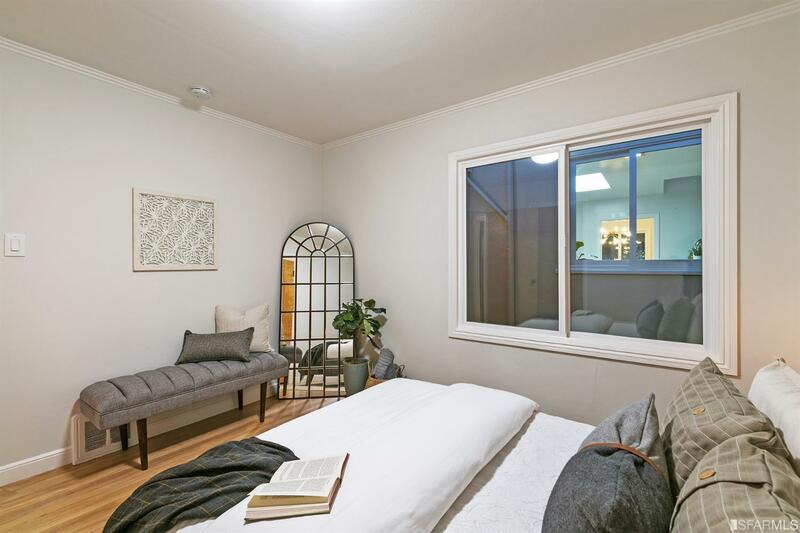 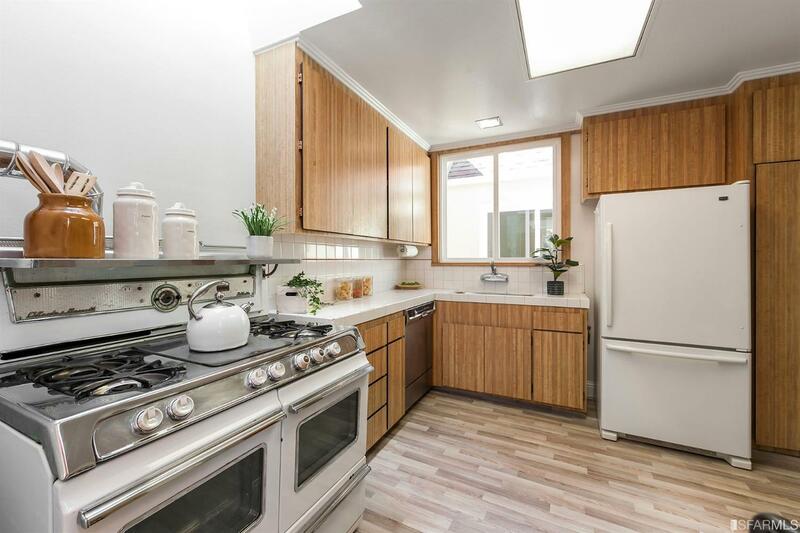 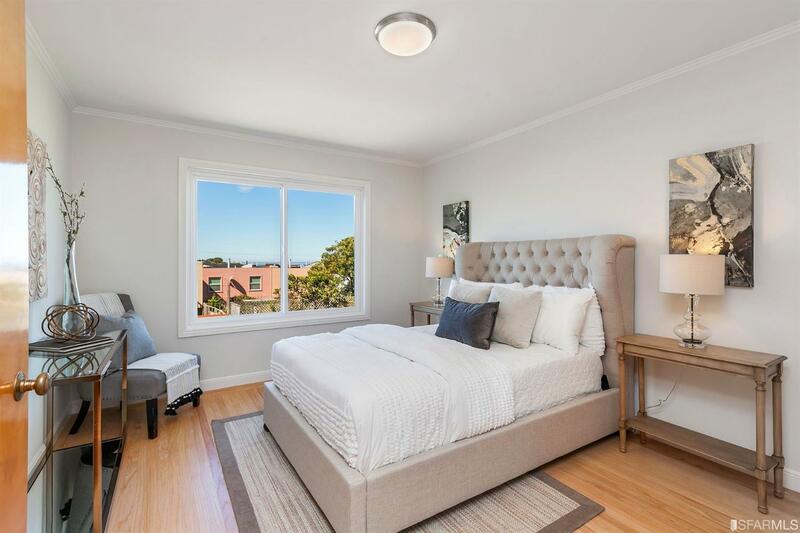 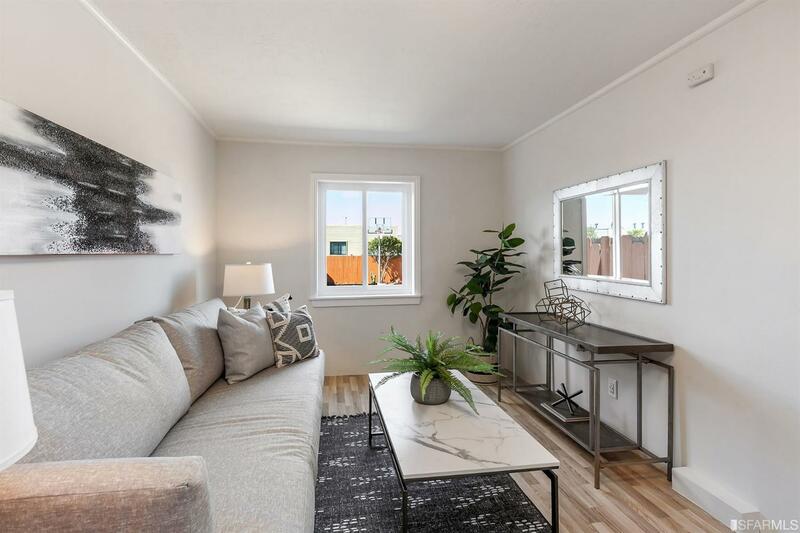 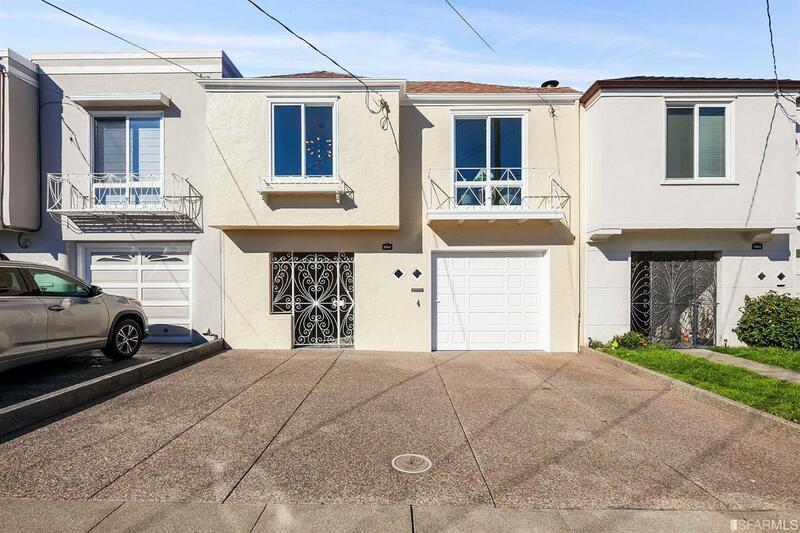 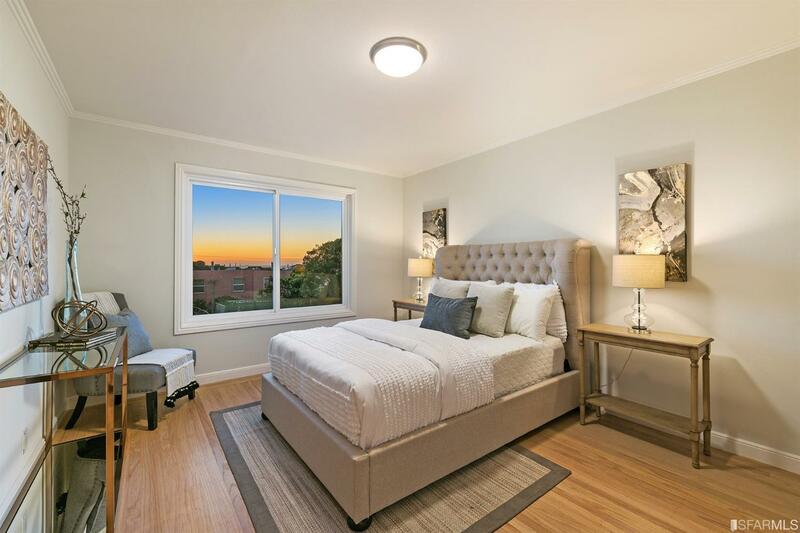 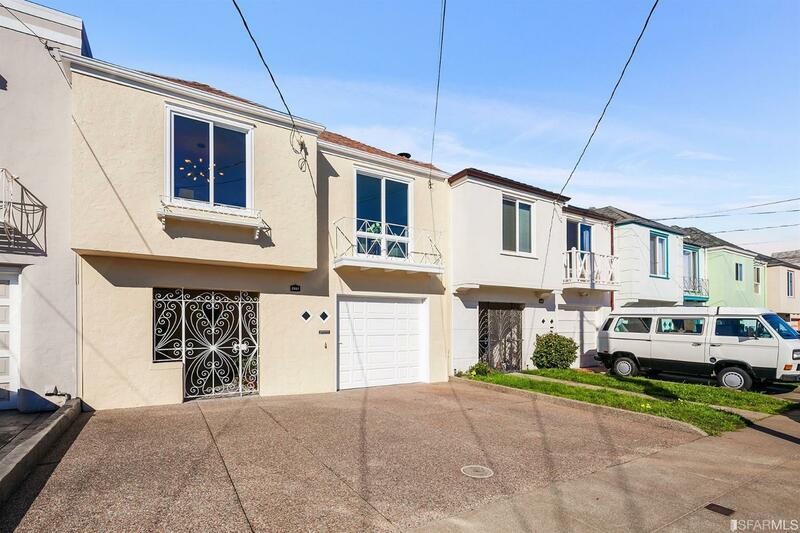 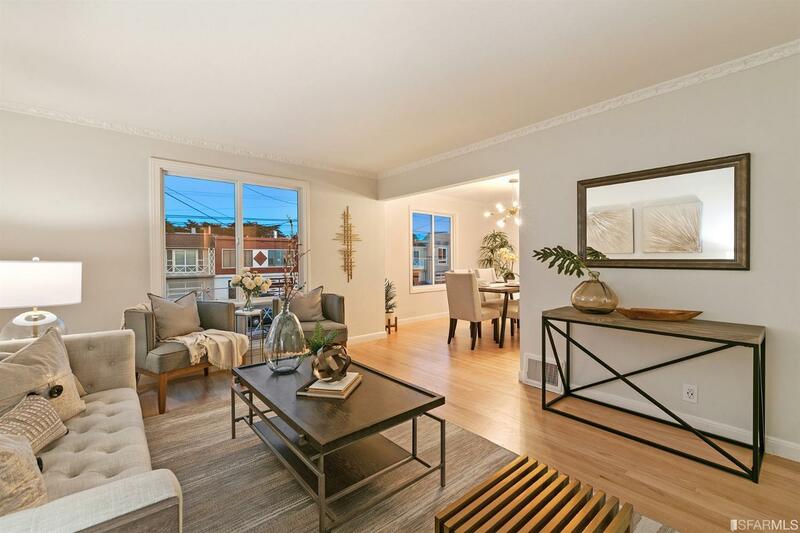 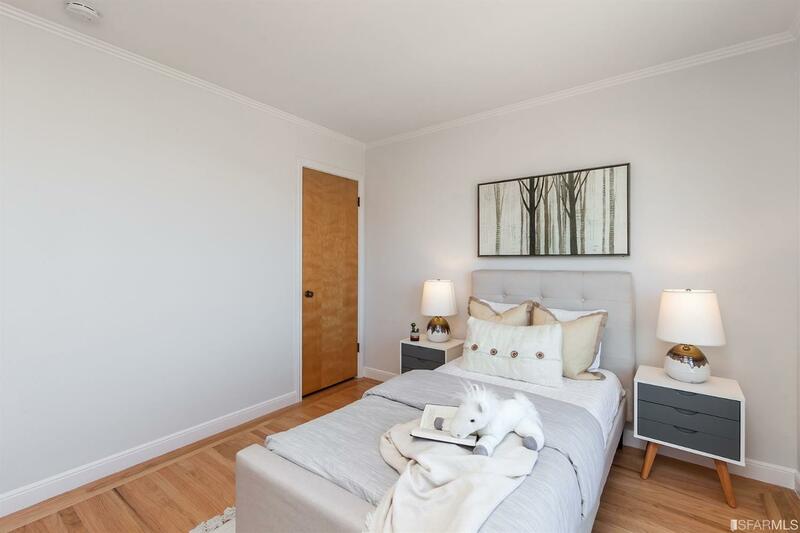 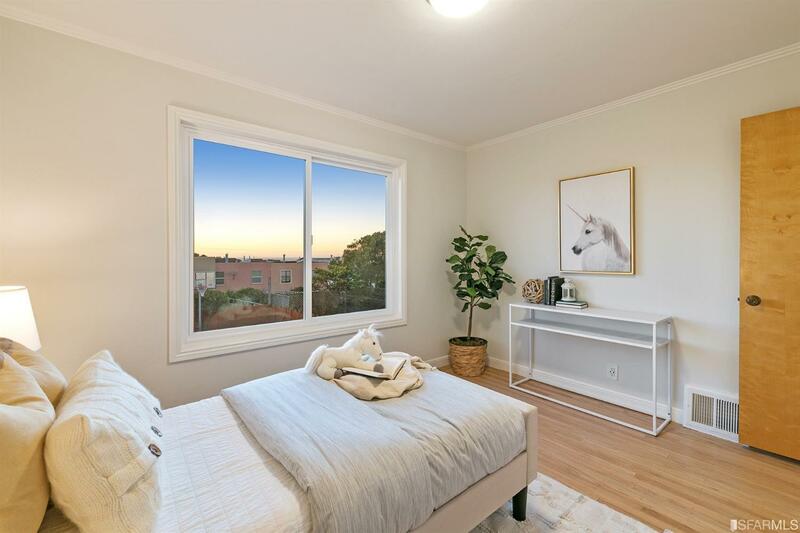 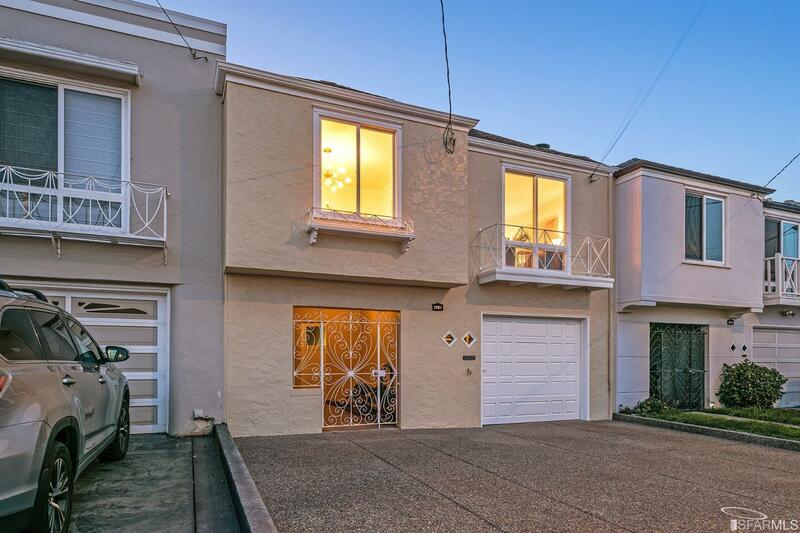 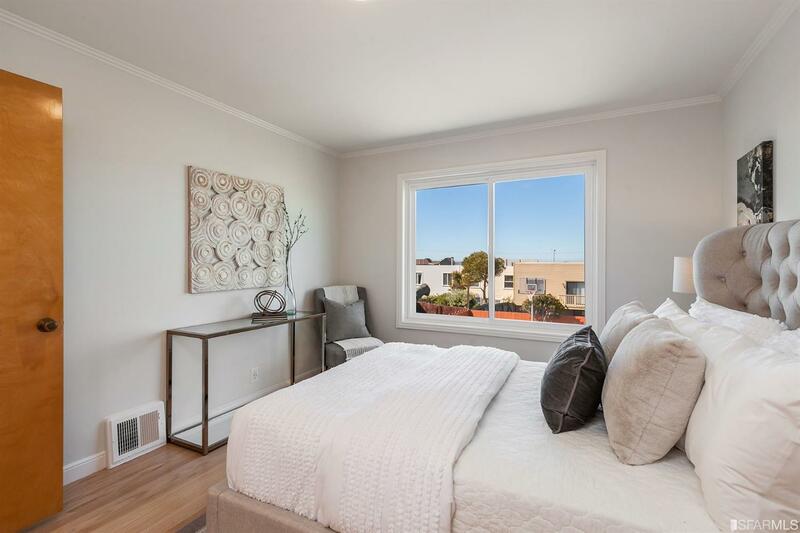 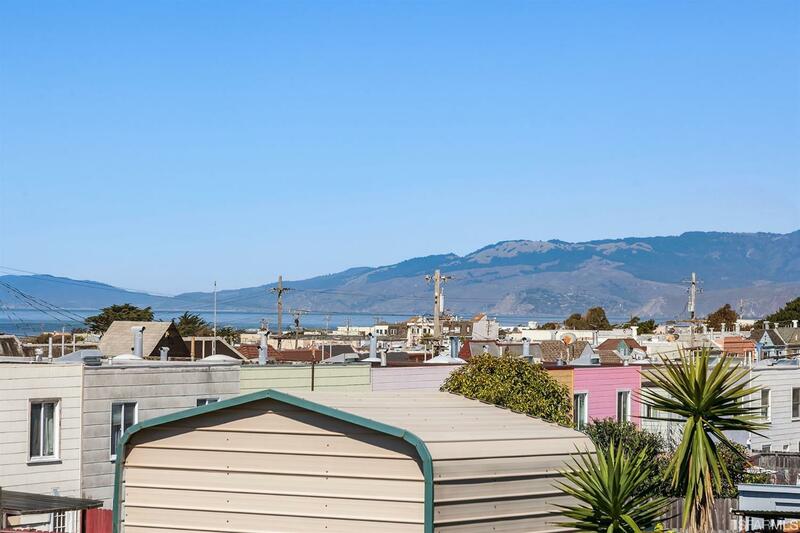 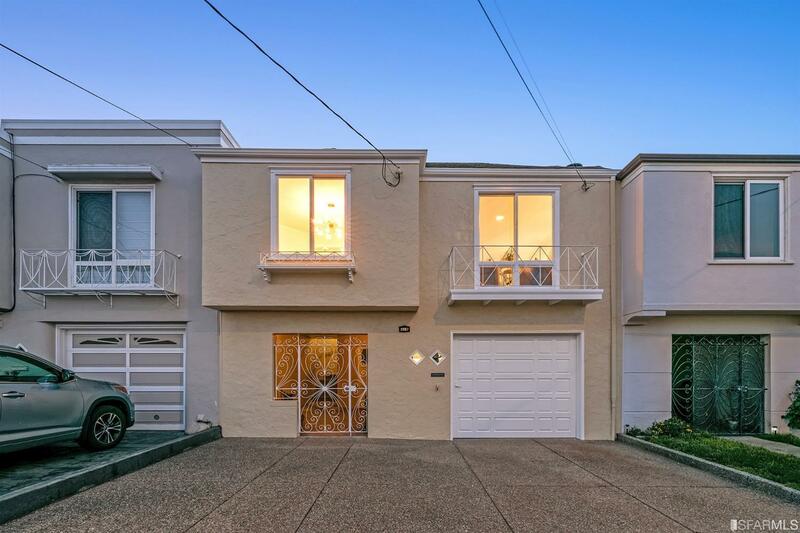 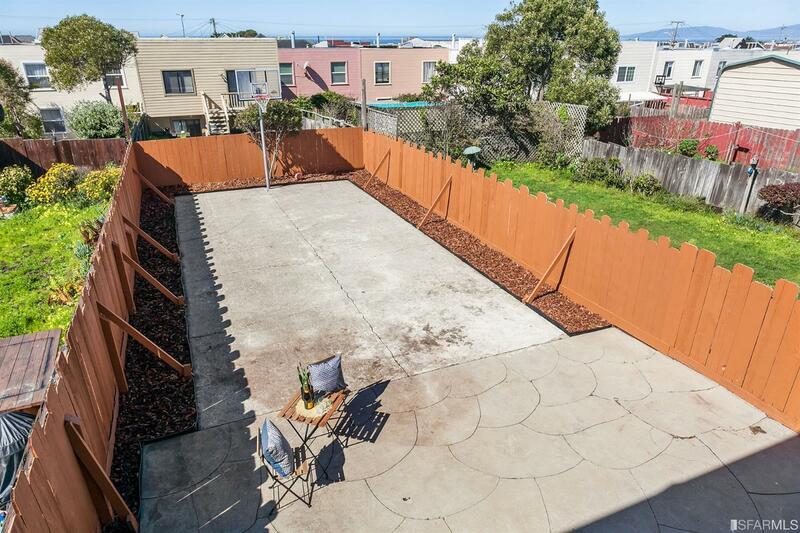 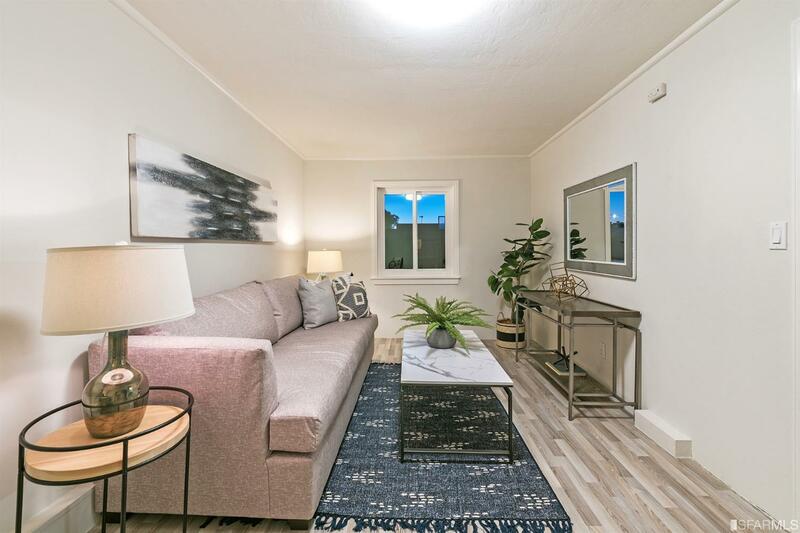 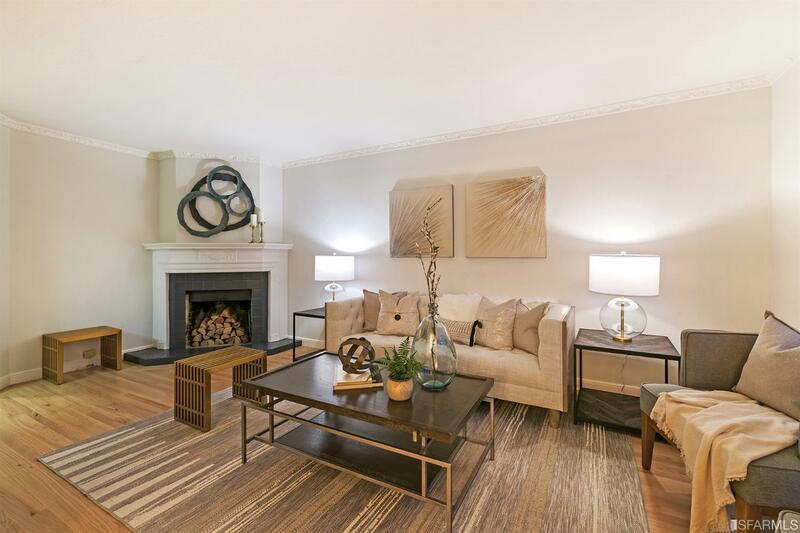 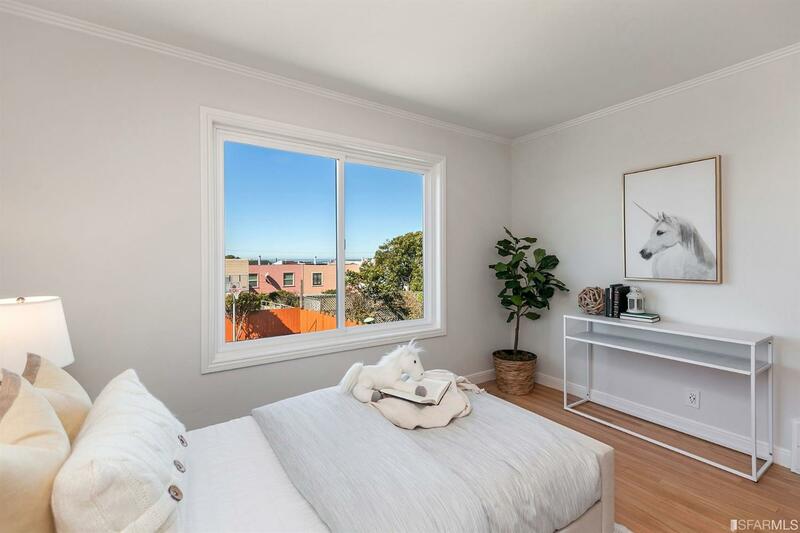 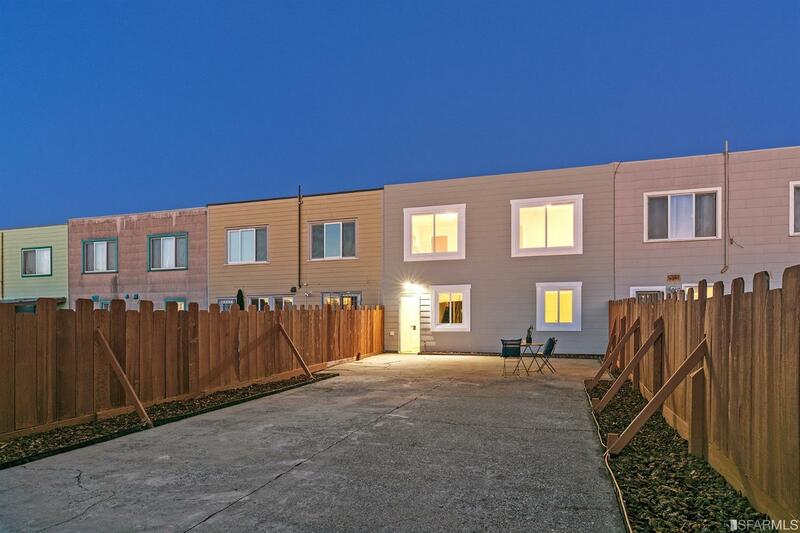 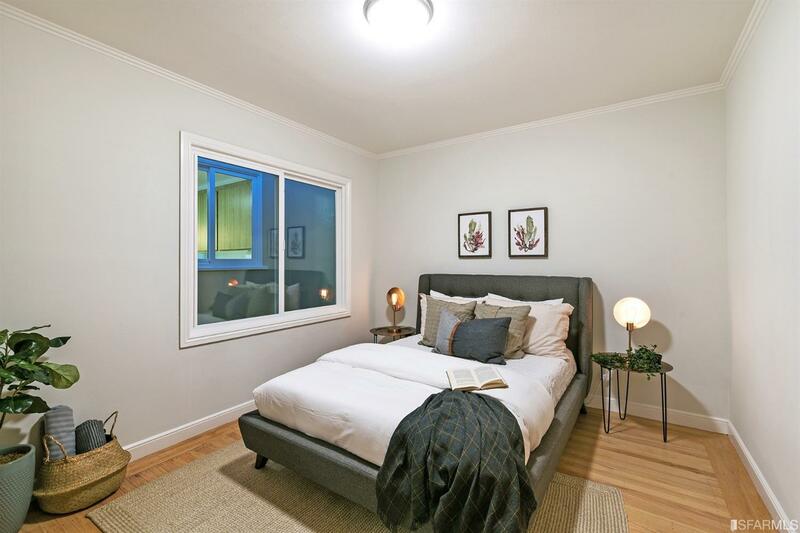 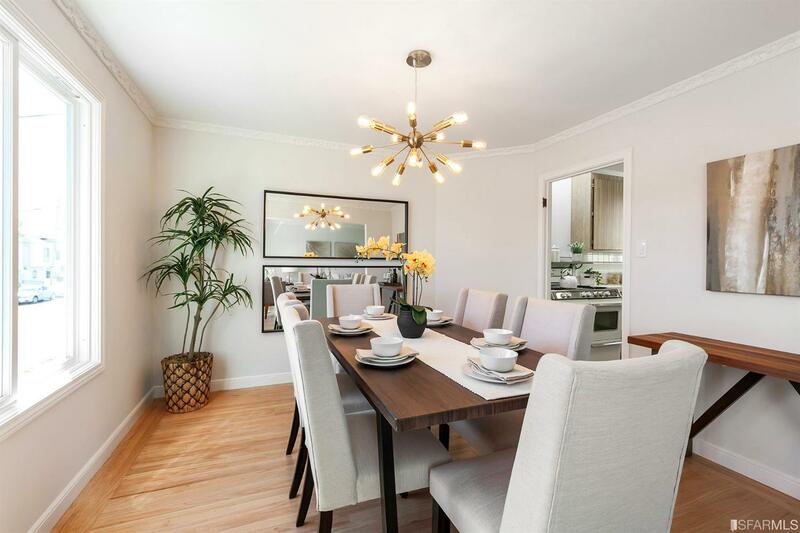 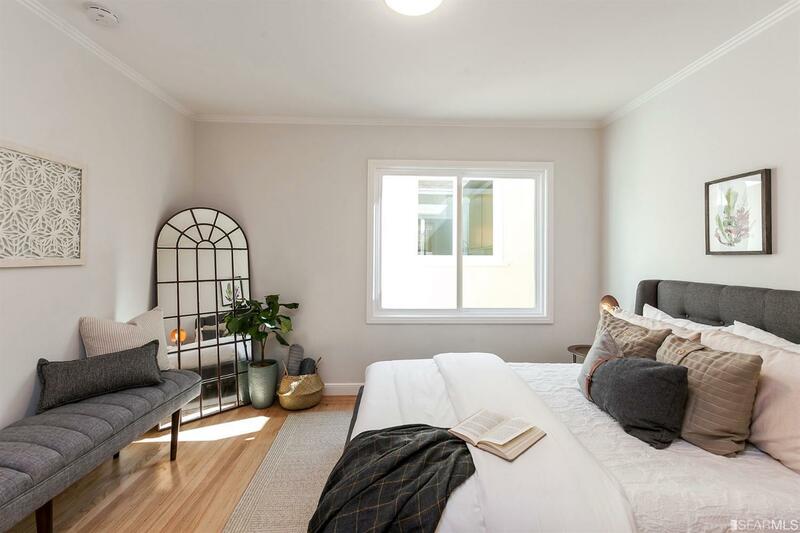 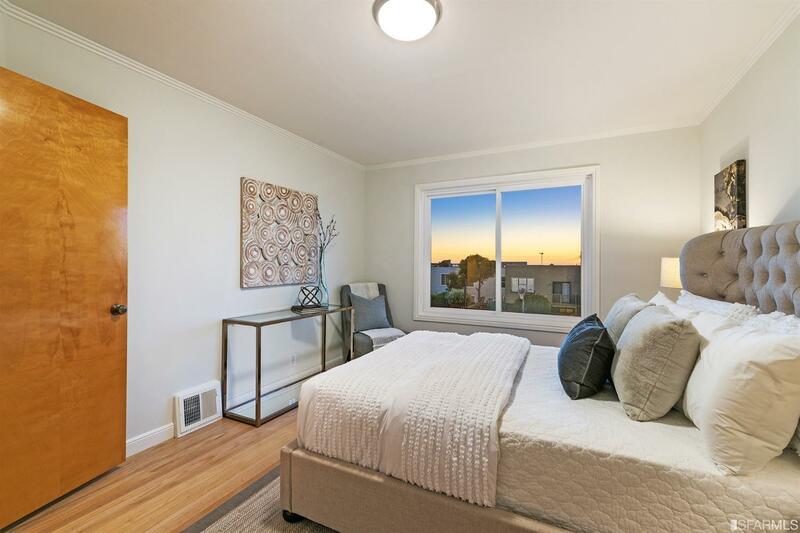 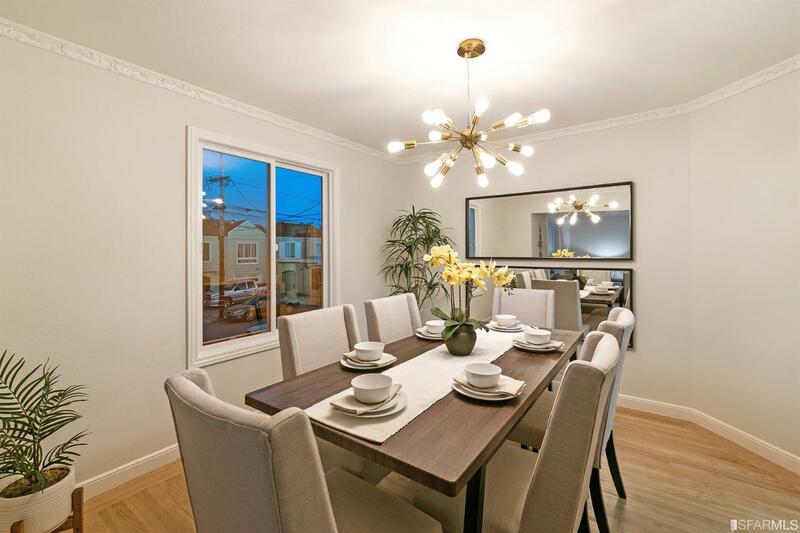 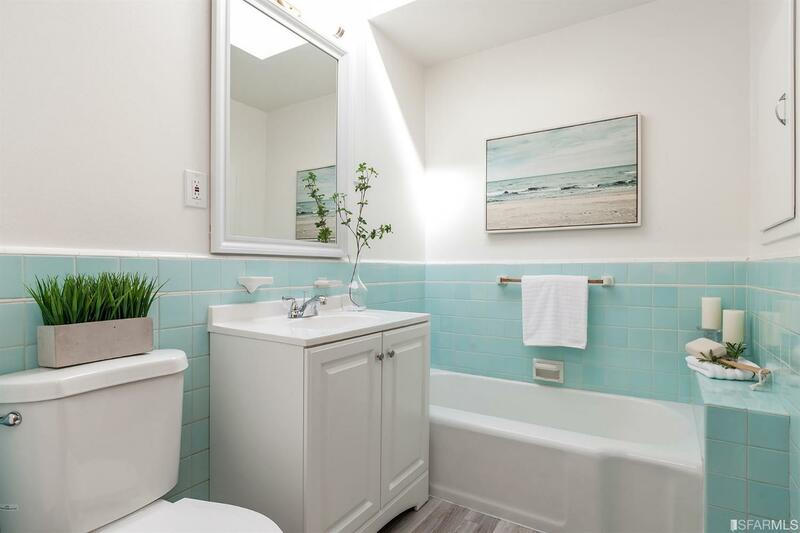 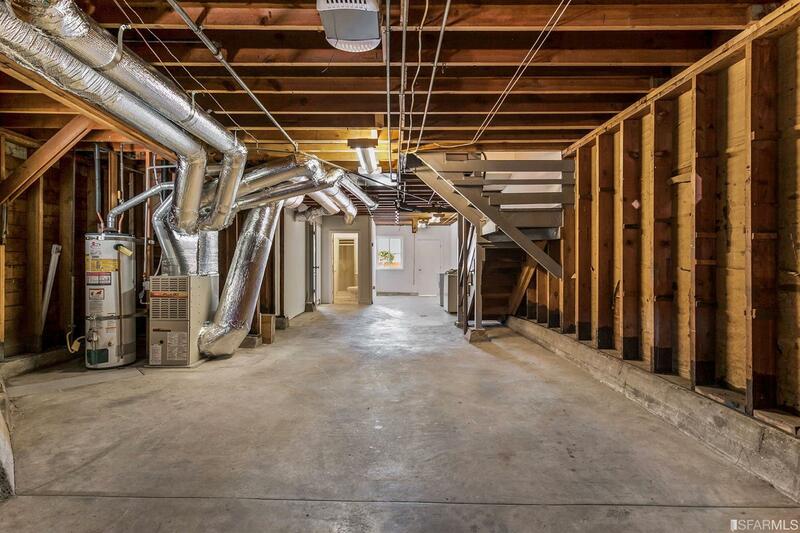 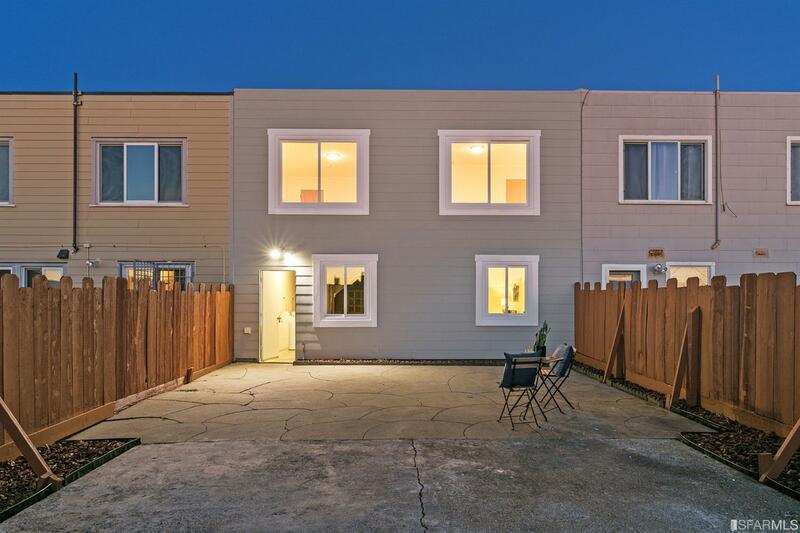 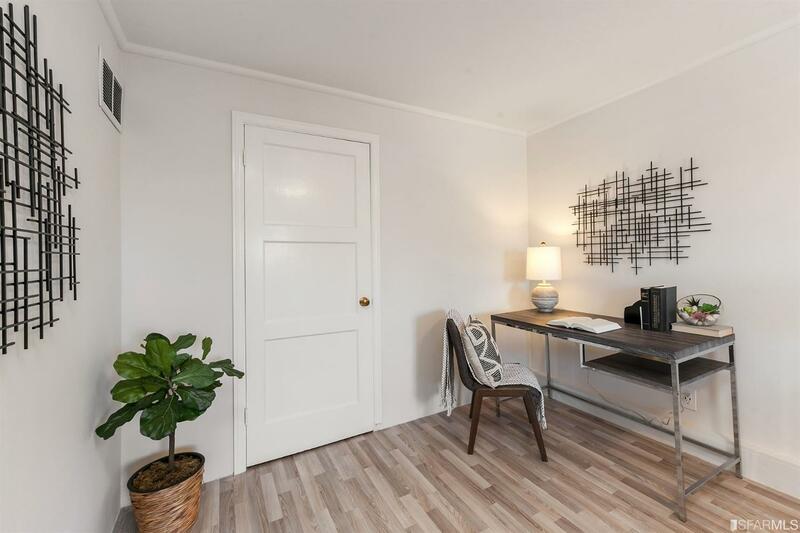 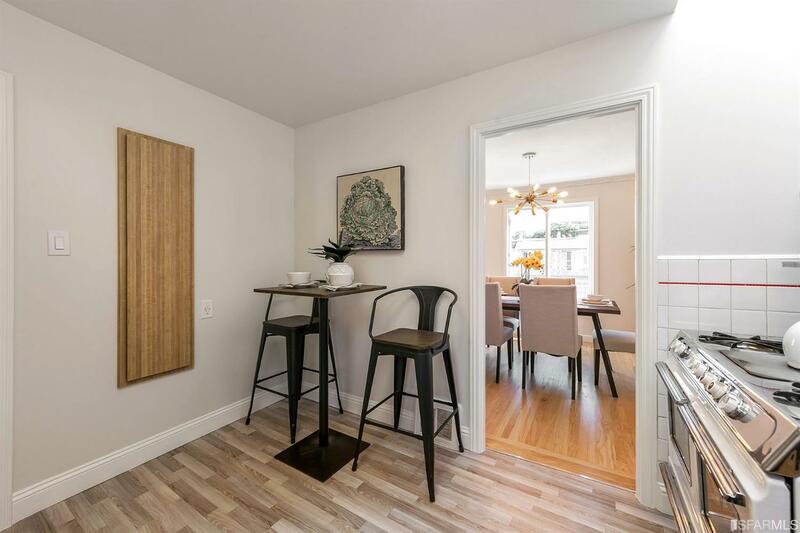 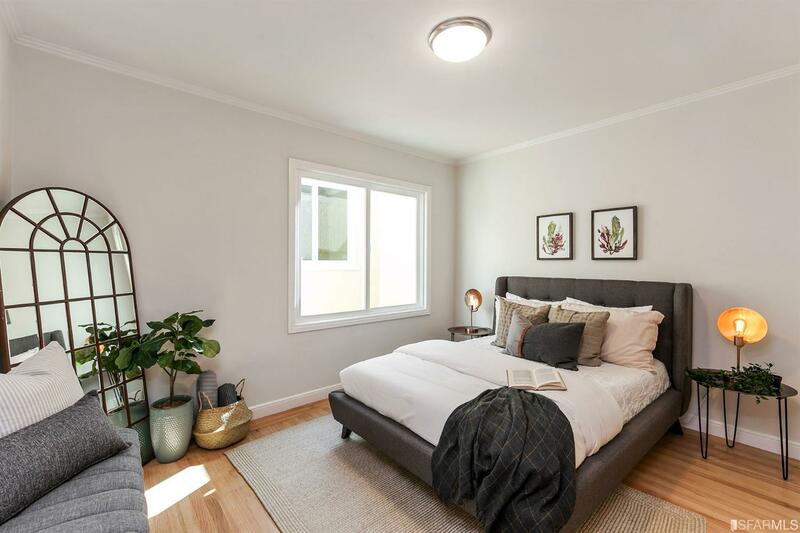 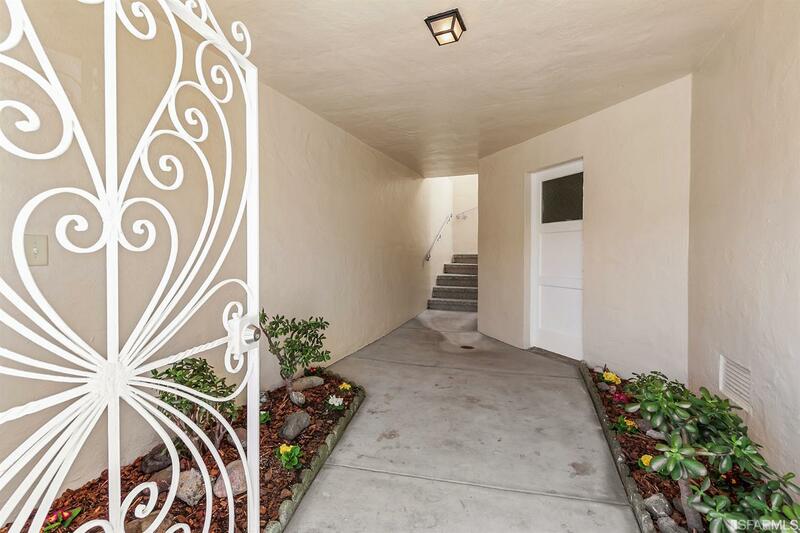 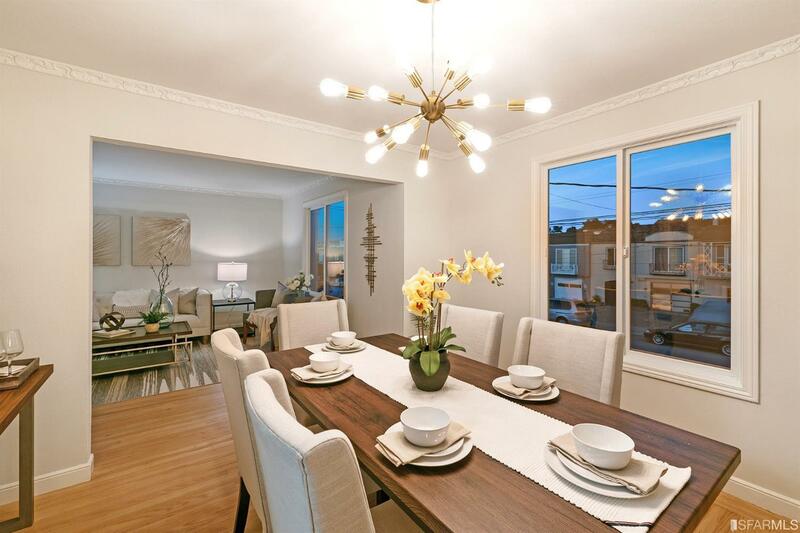 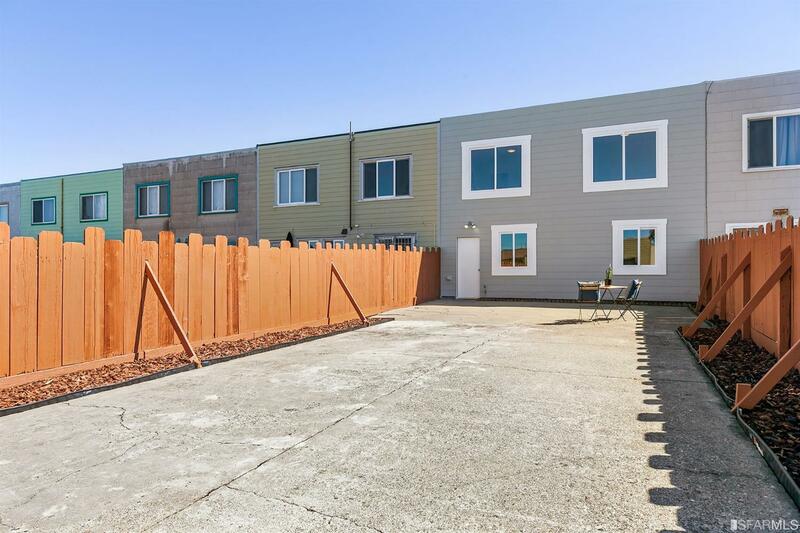 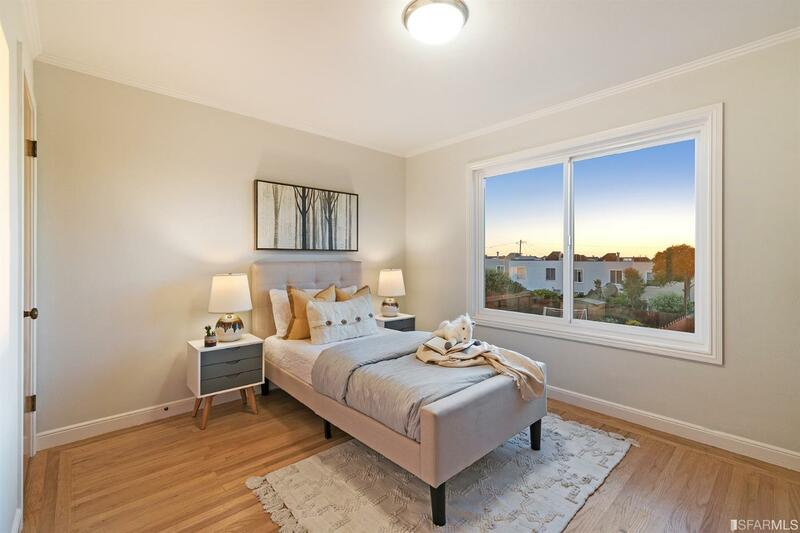 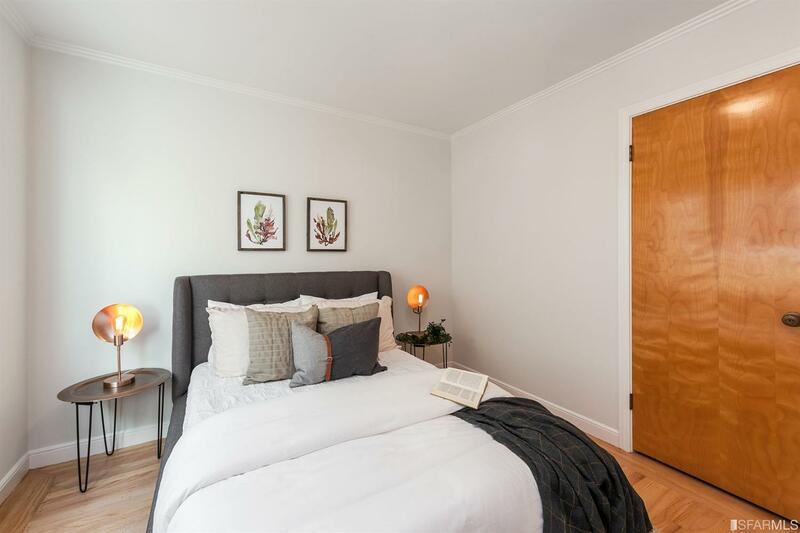 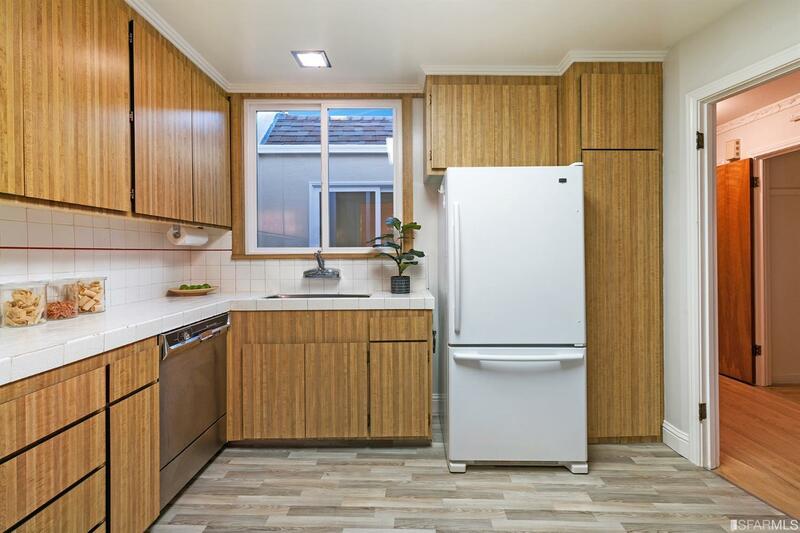 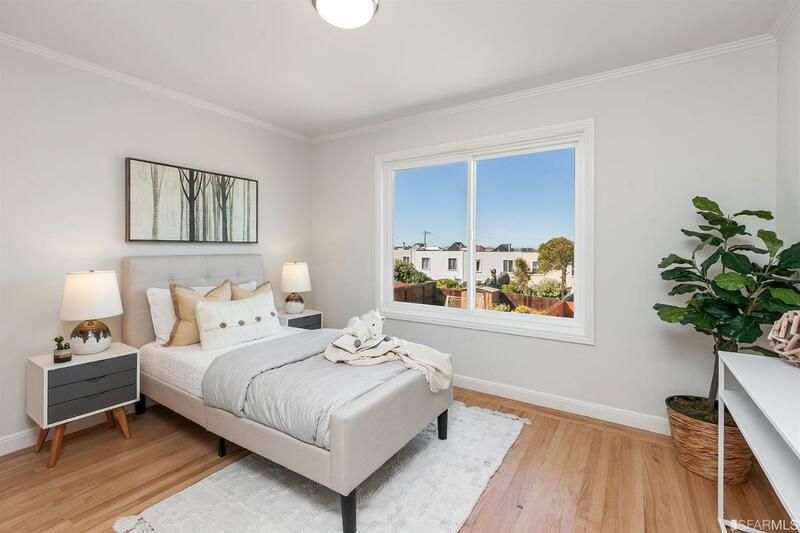 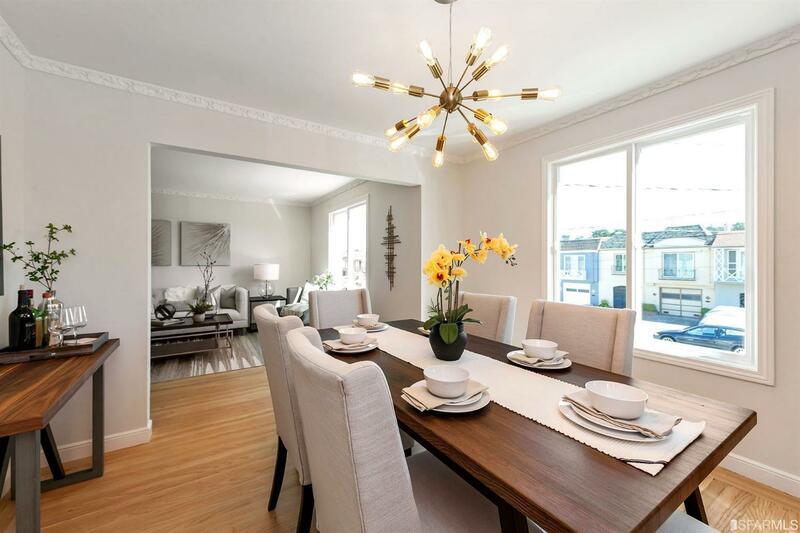 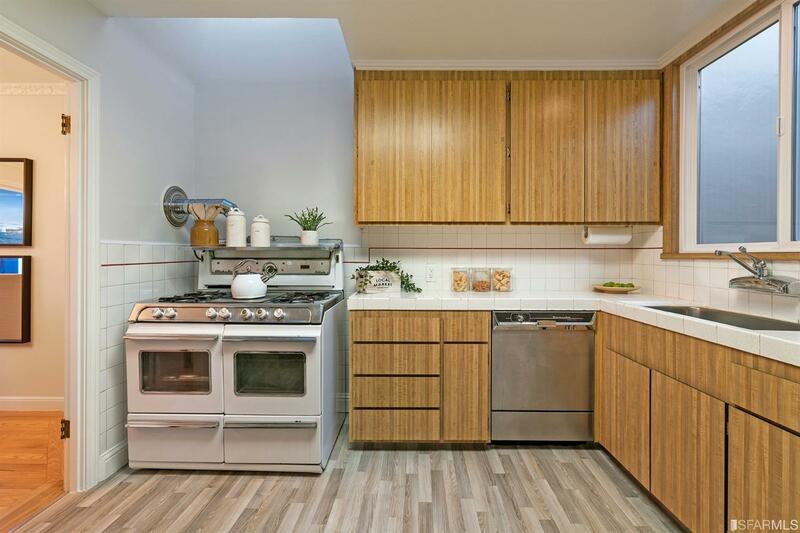 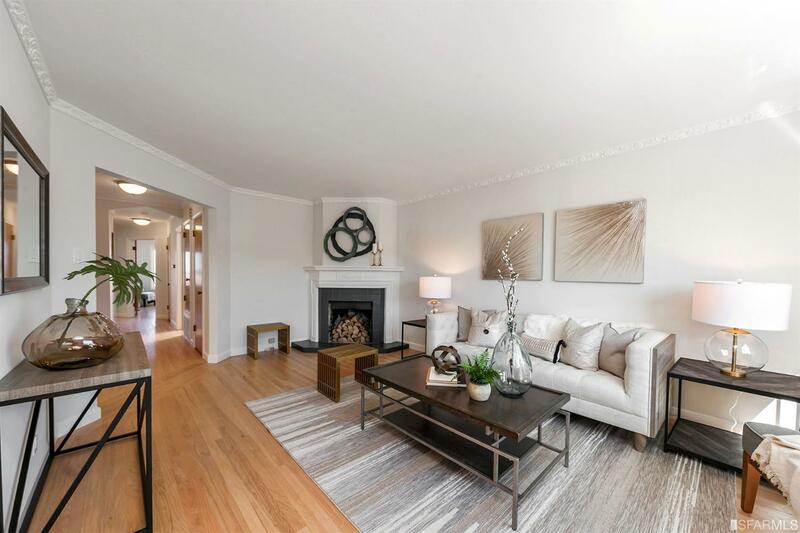 Welcome to a lovingly maintained and beautifully updated home in Outer Sunset. 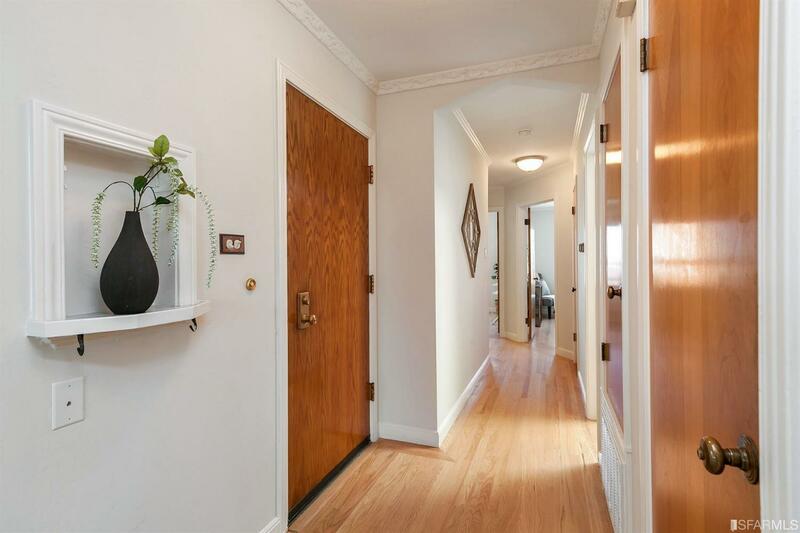 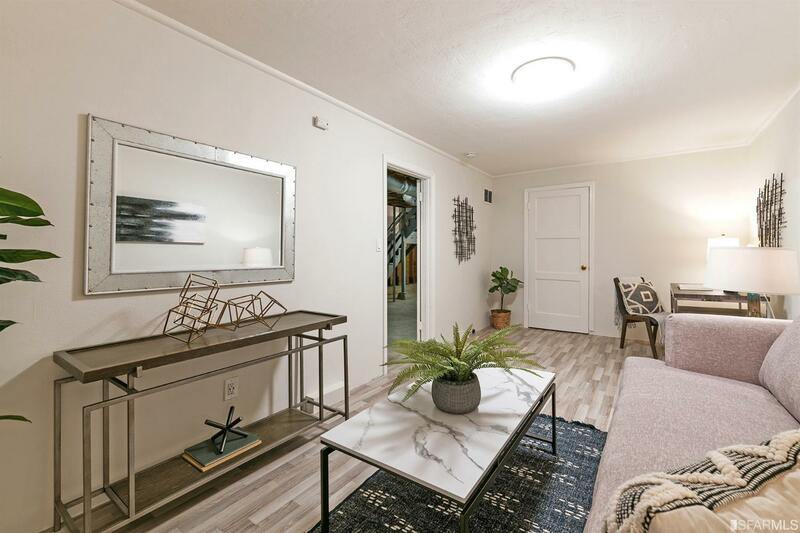 This classic tunnel entry home features beautiful refinished hardwood floors, exquisite crown molding, new paint and windows, complete with natural light pouring throughout the main level. 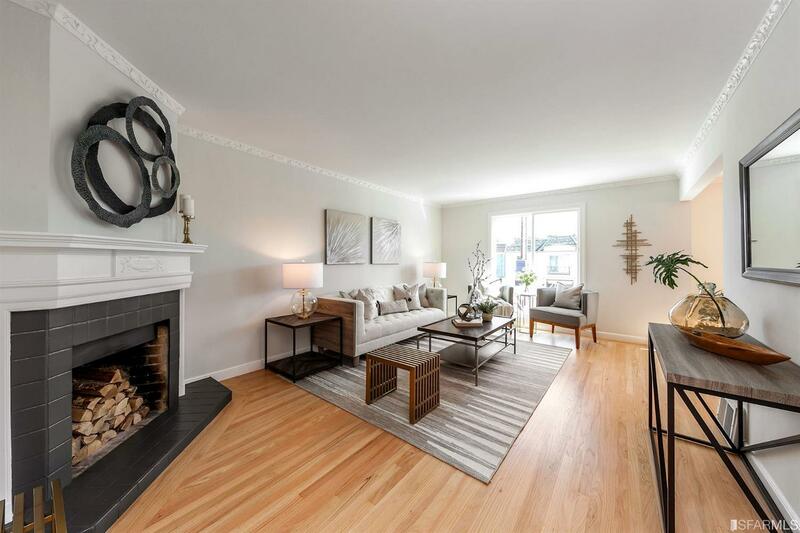 The traditional open layout offers flexibility to modern living; entertain in the ample sized kitchen with natural sunlight shining through the skylight, while guests can mingle in the dining and living room, complete with a relaxing wood fireplace. 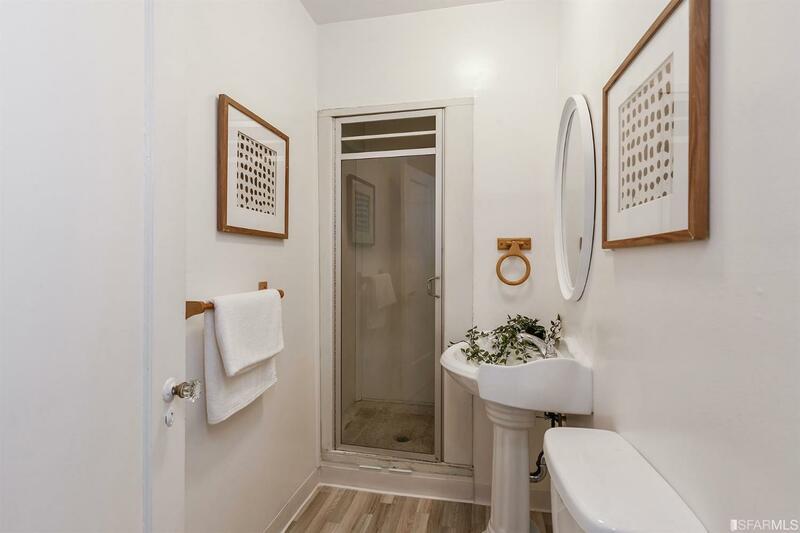 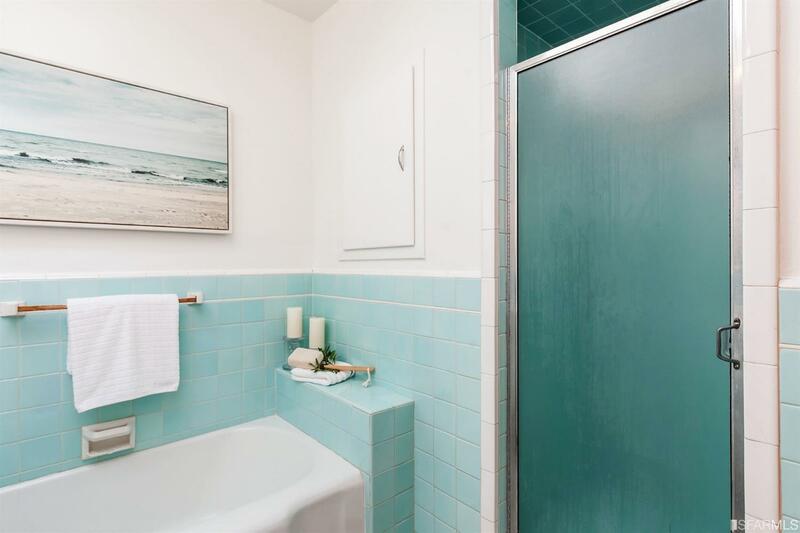 The main bathroom features a sparkling skylight, separate shower stall and bathtub, and has been updated while maintaining its original charm. 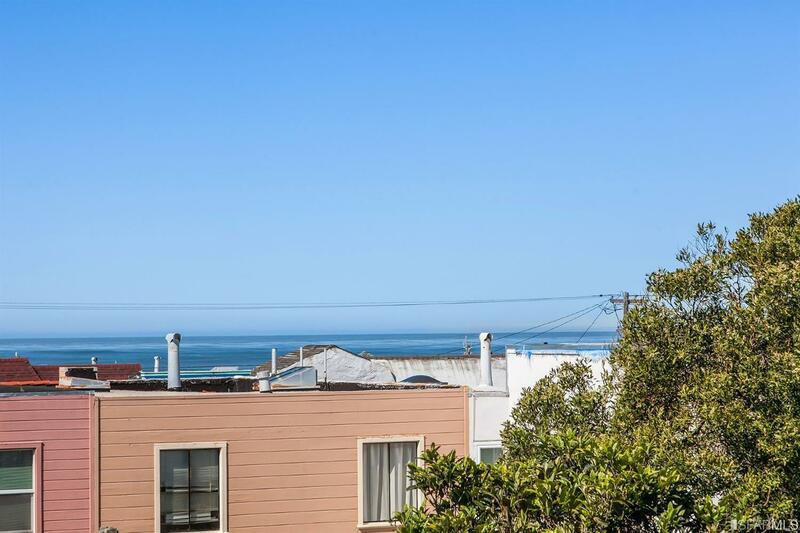 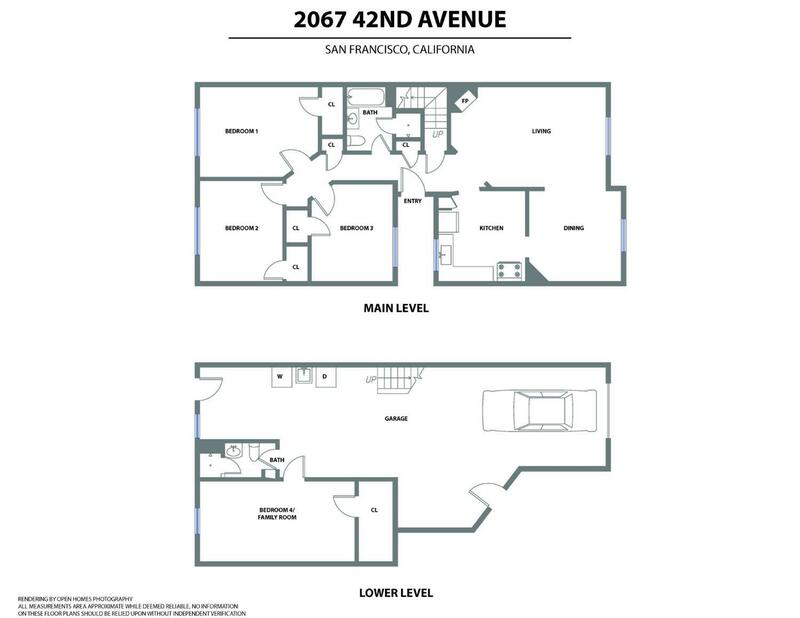 3 bedrooms complete the main level, with 2 of the bedrooms featuring partial ocean views. 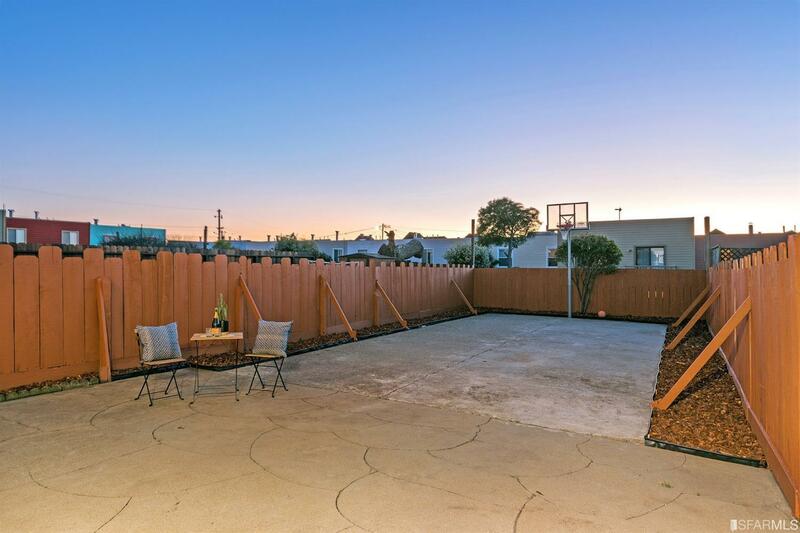 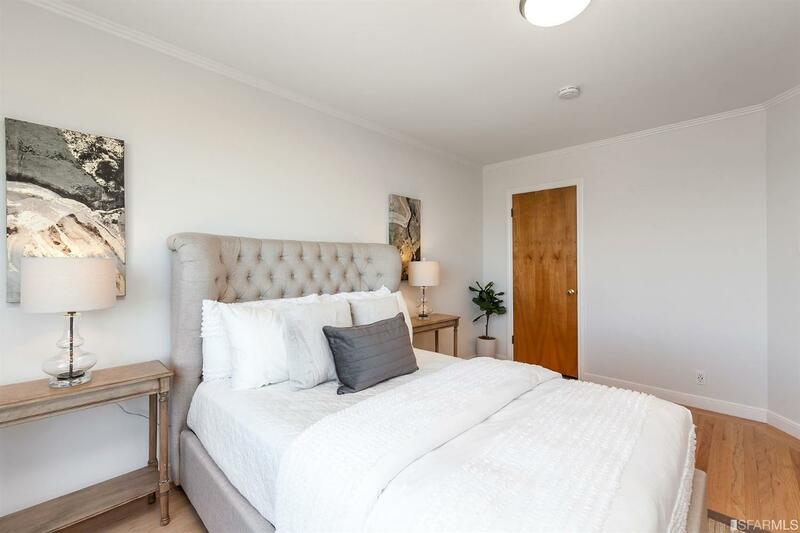 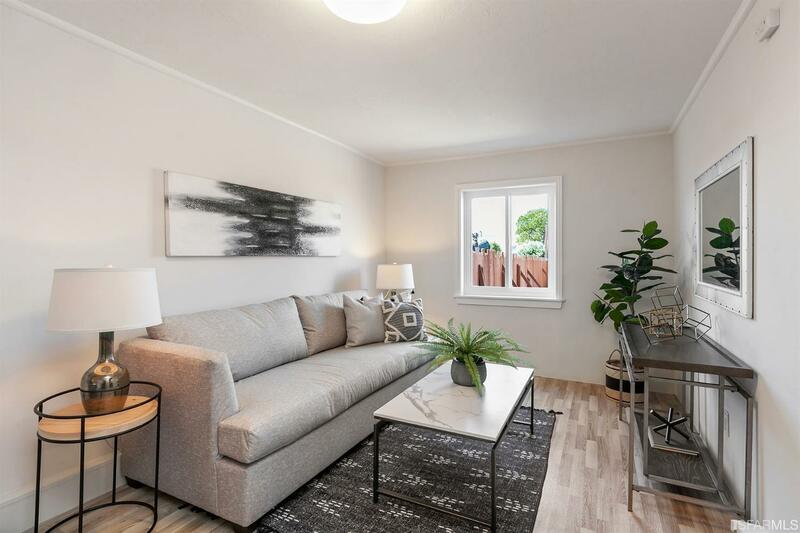 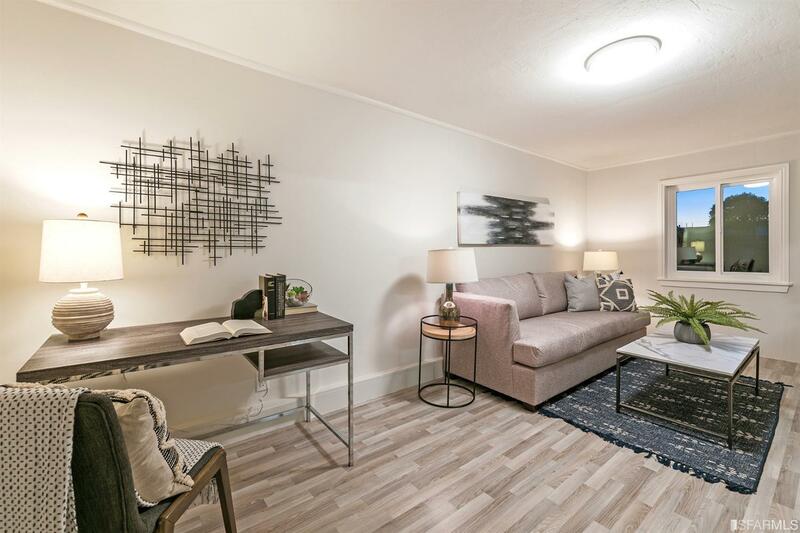 Lower level offers an additional bedroom/family room and bathroom with shower stall, with access to the large landscaped yard, complete with a basketball hoop. 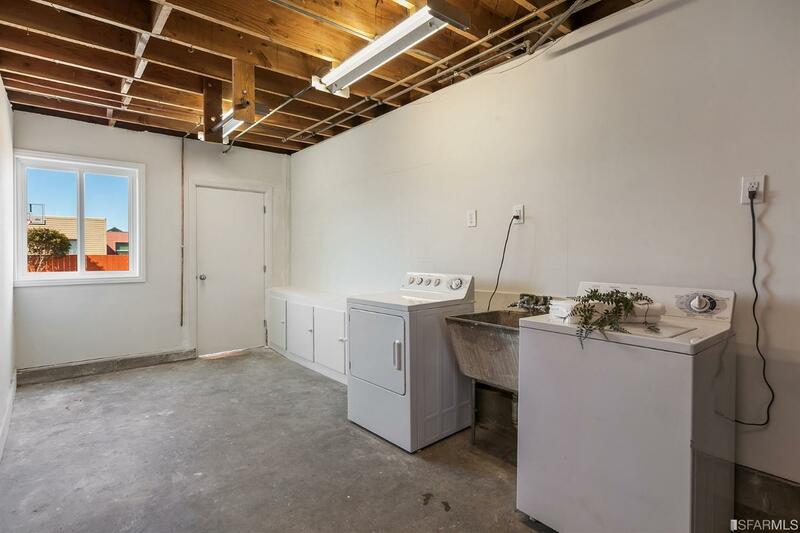 The vast garage offers 2 car parking and laundry area, with expansion potential.